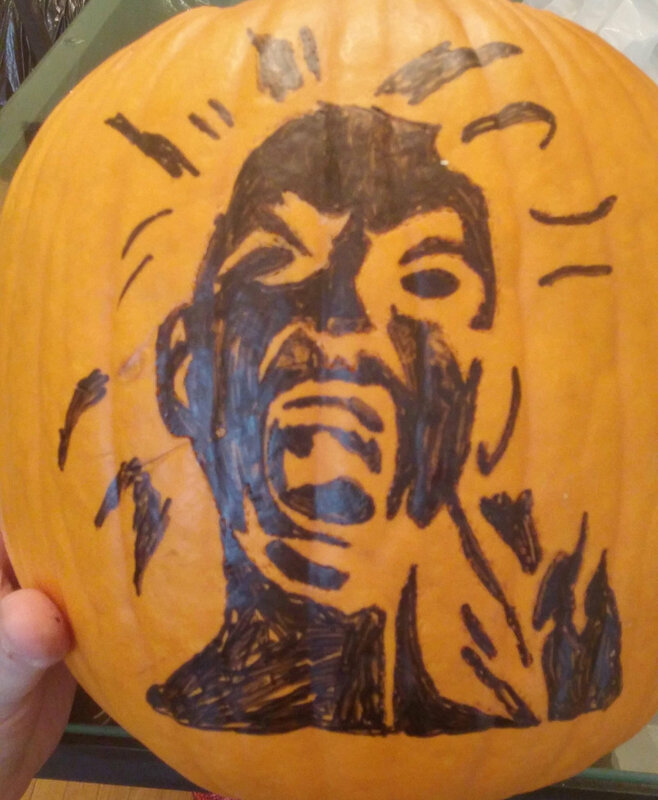 PaulieEsther - The Spirit Pumpkin "WAH!" 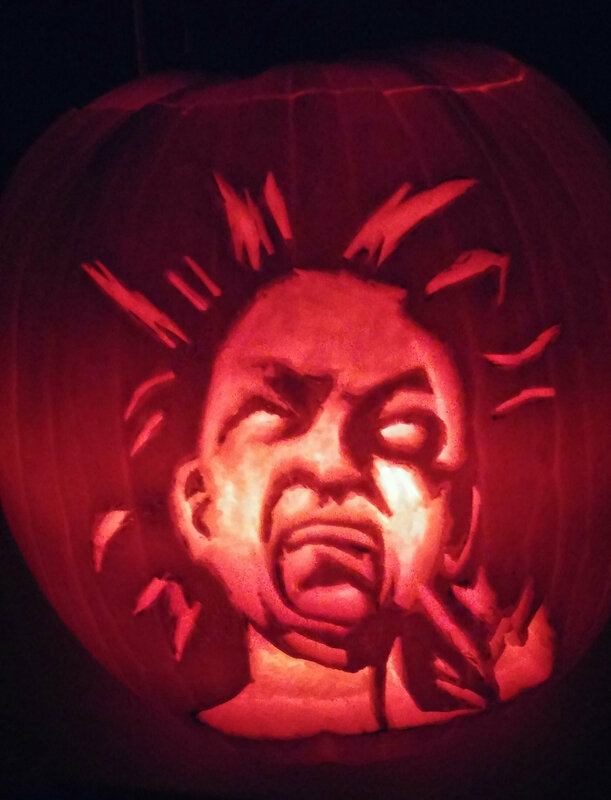 Spent all day getting my Rin Yamaoka pumpkin ready to scream "WAH!" at all the trick or treaters! WAAHHHHH is the appropriate response I feel. Great job, I really love that.